The Holiday Season is on us and now Happy Travelers Tours has a unique and unusual Tour for you and your whole Family (well, those who are over 21 years old, that is) … the Happy Travelers “Sip-and-Sniff” Sunset Tour! Taste Wine and Cannabis! Enjoy Beer and Spirits! Cheese and Charcuterie Plates with Champaign! And, of course, Enjoy a beautiful Sunset! 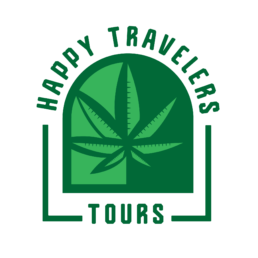 Starting in Sonoma or Santa Rosa, we head West to Sebastopol to stop at both the SPARC Dispensary and The Barlow where we have discounts on cannabis products as well as Wine/Beer and Food. After everyone is sated, we get back on the bus to head to Bodega Head to watch the Sunset, then, back to our starting point we go! Also on the way to Bodega Head we serve Champaign plus Cheese and Charcuterie Plates! And everyone gets a Swag Bag – All our Guests are Happy Travelers! Give the Folks and the entire Family a memory which they’ll cherish – an unforgettable afternoon of fun, exploration and examination of the convergence of Wine and Cannabis! Book Now!